In a press release issued by Ian Fleming Publications on 8th February, 2018, the title, UK release date, and a brief synopsis for the exciting new James Bond novel by Anthony Horowitz have been revealed. 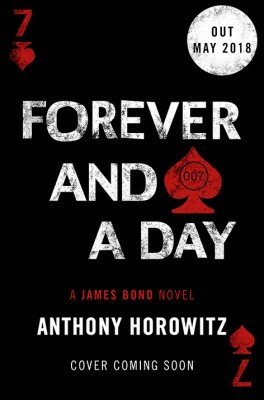 The title of Horowitz’s second 007 adventure is Forever And A Day. It will be published in hardcover in the United Kingdom on Thursday, 31st May, 2018, by Jonathan Cape publishers, and in the autumn (Fall) in the USA. Using some original material from Bond creator Ian Fleming himself, Horowitz has made the new novel into a prequel to Casino Royale, Fleming’s very first 007 thriller. According to the brief synopsis made available by the publishers, the new book will explore the origins of James Bond. And, in an imaginative plot twist, it would appear that the story will partly focus on how James Bond replaced another agent who originally held the ‘007’ number (who had been killed in Marseille ‘by an unknown hand’). As the synopsis puts it: ‘It’s time for a new agent to step up. Time for a new weapon in the war against organised crime. It’s time for James Bond to earn his licence to kill. This is the story of the birth of a legend, in the brutal underworld of the French Riviera’. Anthony Horowitz commented: ‘I couldn’t have been happier when the Ian Fleming estate invited me back to write a second Bond. I very much enjoyed writing Forever And A Day, exploring what might have been Bond’s first mission and imagining some of the forces that might have turned him into the iconic figure that the whole world knows’. He added: ‘I hope Ian Fleming would have approved’. In fact, members of the Fleming family have already expressed their strong enthusiasm and keen appreciation of the new novel, praising the work as a very worthy addition to the Bond canon. Various Bond fans have also expressed their pleasure at the very Fleming-esque choice of title. 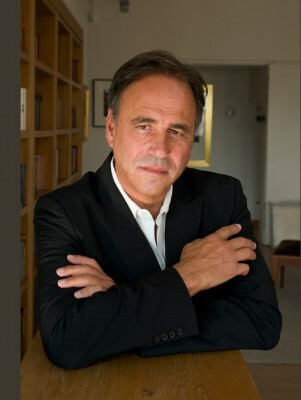 As many 007 fans know, Anthony Horowitz, who was born in Stanmore, London, in 1955, is a best-selling author and very successful screenwriter. He is the author of the very popular Alex Rider children’s spy novels, and was also the writer of the hit British TV wartime detective series Foyle’s War, starring Michael Kitchen (Bill Tanner in Goldeneye and The World Is Not Enough). Horowitz also penned , of course, the James Bond novel Trigger Mortis (2015), which received high praise from both critics and Bond aficionados alike. Welcome back, Mr. Horowitz – we’ve been expecting you.